Rubber Room Ramblings: LABEL LOVE! My demonsrator friend, Nancy, also participated in our new catalog swap. Over the next couple days, I will share some of her cards with you. 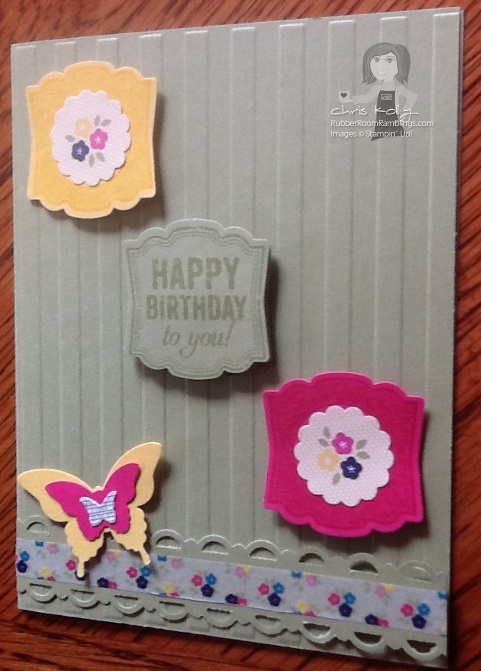 For this card Nancy used the Label Love stamp set, along with the Artisan Label Punch (which coordinates with the stamp set). I love how bright this card is.